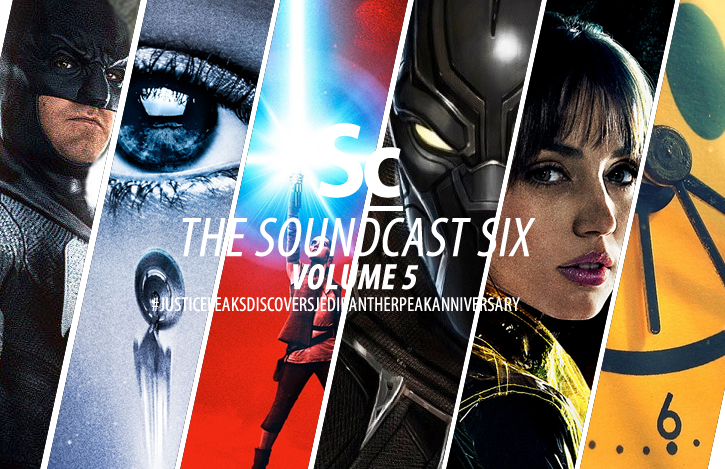 In volume 5 of the Soundcast Six series, Kristen Romanelli, Erik Woods and Christopher Coleman reunite to talk about some of the biggest stories in the soundtrack-world over the past two months including: The two tracks released/leaked from Danny Elfman's score for "Justice League," recent trailers like: Star Wars: The Last Jedi and The Black Panther and their music, Star Trek: Discovery, whether we have reached "peak Zimmer" or not, and reaching Tracksounds' 20th anniversary on the internet..
48:24 - #5 - Blade Run Out of the Oscars? 81:49 - Wrap up, Contact Us, and Say what? 00:00 - "Star Trek: Club Mix"
Justice League: "Friends and Foes"
"Have We Reached Peak Zimmer?"